If you’ve listened to some of the other episodes then by now you’ve heard how so much of what happens to us as kids can affect how we are, in relationship, as adults. You can get into the specifics if you want – and there are times when I think that’s a good idea – but you can also look at the big picture of whether or not you had a secure attachment with your parents (and now are able to have a healthy, secure style in your adult relationships). Or you might find that you developed what’s known as an insecure attachment style with your parents, and now THAT is affecting how you connect with (or withdraw from) the people you love as an adult. Do you sometimes feel an overarching need for space and find yourself always feeling like your partner wants too much from you? Do you start to feel anxious when you’re alone, like your partner isn’t there for you enough. Well, guess what – this all relates to your attachment style. The great thing about it is: there’s something you can do. 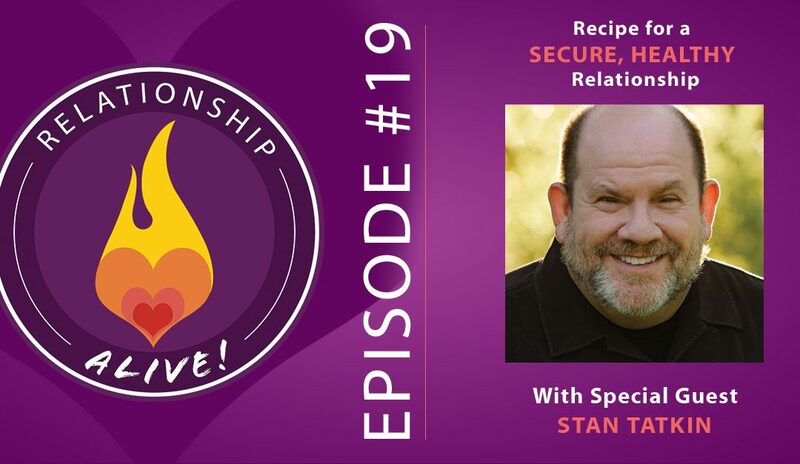 On today’s show our guest is Stan Tatkin, Doctor of Psychology, one of the world’s experts on attachment theory, and the author of “Wired for Love: How Understanding Your Partner’s Brain and Attachment Style Can Help You Defuse Conflict and Build a Secure Relationship”. 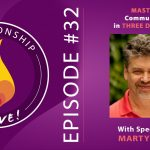 On this show we’re going to get to know the ins and outs of how we attach to others – and give you some successful strategies for knowing and understanding yourself, and your partner, and finding healthy ways to support each other in relationship. 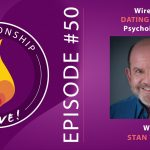 If you’re single, we’re also going to talk about the implications of attachment style on dating – and Stan’s new book “Wired for Dating” is coming out this month – January of 2016. Insecure attachment styles: Islands – People who are more “islands” in their attachment style (the ones who need extra space) typically had to perform or be a certain way in order to experience love in their primary relationship. They tend to distance themselves in relationship as they are afraid of losing themselves within the relationship, or being co-opted. Insecure attachment styes: – Waves – People who are “waves” tend to be more needy and afraid of abandonment in relationship. Typically they were responsible for the emotional well-being of at least one of their parents, and so they were rewarded for being dependent. Both insecure attachment styles can be distancing: Both waves and islands can also distance themselves ultimately within a relationship, waves because they are afraid of being abandoned, and islands because they are afraid of being consumed. At the root of both avenues: fear. And both islands and waves WANT relatedness – it’s just the kinds of fears that relatedness creates that lead to wave-like or island-like behavior. No judgment! It’s important to know that neither of these is good or bad, they just “are” and affected by your experience. With an understanding of where you are, and an understanding of your partner (or potential partners), you can come away with a map of how to build safety in your relationship – a secure container from which everything else grows and prospers. These patterns of behavior only come up in relationship. So – don’t be surprised when it emerges after the courtship/honeymoon phase of a relationship. This is just “what we do” when we begin to see a relationship with another person as “permanent”. It’s not important to worry about moving from an insecure attachment style to a secure attachment style. It’s more important for you and your partner to understand how each other operate and to create agreements that support you and your safe container. By virtue of doing so, you will naturally move towards a more secure attachment style. Either way, though, those agreements will ensure that you are working collaboratively, without judgment of each other – instead appreciating how each other is in the world, and knowing better than anyone else in the world how to provide an environment that feels safe and secure to each other. These mechanisms are ruled by the primitive part of your brain. And, in general, if the primal part of your brain is triggered then that part of your brain is going to call the shots – the higher-functioning part of your brain can’t even do it’s job when the primitive part of your brain hijacks it or diverts resources away from it. The importance of agreements: Do you have agreements with your partner that allow you to repair as soon as either of you gets triggered? 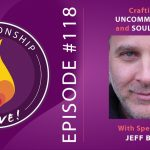 These kinds of agreements allow you to come back into balance and connection with each other – and then address the specifics of what came up afterwards. If your partner is in distress then it becomes a priority for you to help them recover first – and then figure out strategies for working through whatever caused the distress. 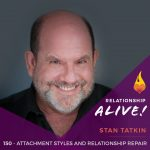 Establishing the “Couple Bubble” – All of these strategies are about improving the container of your relationship, or what Stan Tatkin calls the “couple bubble”. Create rituals to reinforce your togetherness. Bedtime rituals, rituals upon waking – or I also share in the podcast a ritual for reminding each other of togetherness before walking into situations that could be triggering. It’s not healthy to avoid conflict. However, you can learn to “fight smart”. For one thing, are you always looking for ways to resolve conflict that are true win/win options? Only when your interests are aligned with your partner, and nobody loses, can you get out of being triggered in anger and arrive at conclusions that foster greater love and connection – even when you are in a disagreement. When dealing with an island… it can be helpful to offer quick doses of love without holding on for too lengthy a period of time. Islands can be more left-brain dominant (verbal, logical) – so it can be helpful to express your love in left-brain sorts of ways. When dealing with a wave… offer reassurance that you love them, touch, etc. Waves tend to be more right-brainy, so offering touch, emotion, movement – those are all strategies that can build safety and connection for a wave. Are you still auditioning? We act differently when we’re not all in in terms of commitment. One to two years is a reasonable amount of time to know if you really want to be with someone. After that, it’s time to decide if you’re really in it or not – so that you can experience what it’s like to be in relationship with this person when both of you are fully invested. And then you’ll get MORE information that will help you decide if it really is what you want for the LONG long term. Another reason oxytocin/vasopressin is important: These neuropeptides allow you to experience stillness without fear. So important for fostering intimacy, particularly when intimacy can stimulate fear – either through being a survivor of trauma, or through simply being a wave or an island. How does this apply when you’re single? 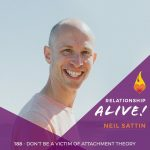 Bear in mind that the cascade of neurochemicals that you’re experiencing when you’re dating will keep you from really knowing what’s going on with the other person. One important tool for you is to leverage the power of your community – family, friends, etc. – to help you decide whether or not someone is actually good for you. Not that you should invalidate your own opinion and feelings, of course – but you can count on others who are not love-drunk to help you get clarity on the situation. There’s more information in Stan Tatkin’s new book “Wired for Dating” as well. 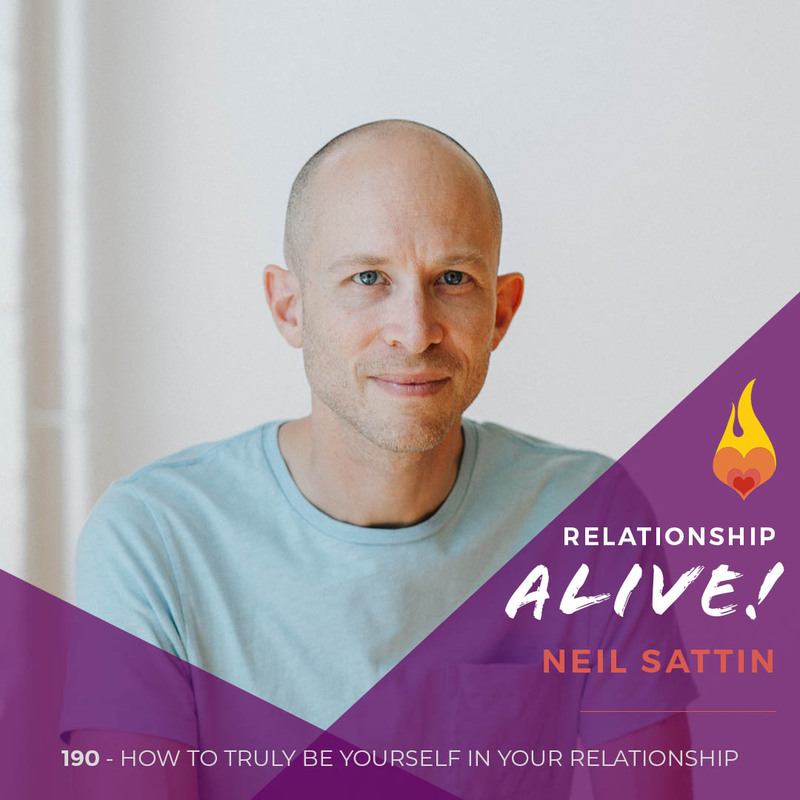 https://www.neilsattin.com/wired is the direct link to this episode. Visit to download the show guide, or text “PASSION” to 33444 and follow the instructions to download the show guide. If you download the guide within the first week of this episode’s airing, you are automatically qualified for a chance to win a free copy of “Wired for Love”!